After DOJ Secretary Vitaliano Aguirre Jr. commented against Filipo D. Hippo's promotion, the battle just raged on between both parties. CHR Vice Chairman Hippo with some unidentified CHR employees was last seen detained for public disturbance during his appointment. CHR Chairman Chito Gascon tried to plead with the DOJ Secretary to help release Hippo but was only given the reply, "Human dignity is more important. If you demand respect, respect others first. Hippo disrespected his neighbors by partying all night with you people. If you're always late, you don't deserve respect either because time is very important and it waits for nobody." DOJ Secretary Aguirre was last seen in his battle against Senator Liar Dilemma in an angry exchange of words. CHR Vice Chairman Hippo can now be seen exercising his power. The rally was scheduled to start at 9:00 A.M. but started at 10 A.M. as scheduled. CHR Vice Chairman Hippo was given permission by CHR Chairman Gascon to start the Anti-Aguirre rally. Banners saying, "Aguirre my new enemy!" were raised against the justice secretary. CHR Vice Chairman Hippo was last seen with his lawyer Atty. Antonio Tinio, Etta Rosales and CHR Chairman Chito Gascon during the rally. CHR Vice Chairman Hippo said in an interview, "Mr. Aguirre, you have blown your chances. First, you accepted Duterte's post as Justice Secretary now you refused my case twice. You said you respect human dignity. All I wanted to do was to party in Boracay but you turned down on me. Are you a Filipino? If you love being on time go to another country!" 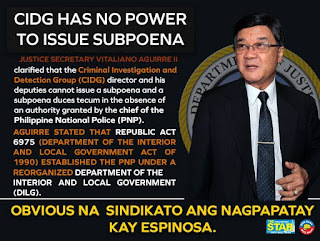 DOJ Secretary Aguirre was last seen in an interview where he finally raised one of the reasons why Hippo was against him. He said, "I was offered the time to be the lawyer of Hippo. Atty. Antonio Tinio was stupid enough to take that post and ended up in a mock trial meant to teach them that the court is not for one's personal recreation. I wouldn't act as a lawyer to such a ridiculous case. No matter how high your position is but if you're late for your flight then you're rightfully left behind. Nobody should be exempt from that rule because respect for human dignity involves respect for time." The Anti-Aguirre rally was launched by CHR. However, DOJ Secretary Aguirre merely responded, "I'll just have them apprehended. There's now new evidence against Hippo that could further get him in trouble with Philippine Airlines and every other airline company he's accused of unfair departure. The flight to Boracay wasn't the only flight he missed. He also missed every flight because he's habitually late. He deserved it."